Gas lift beds can work in two different ways. 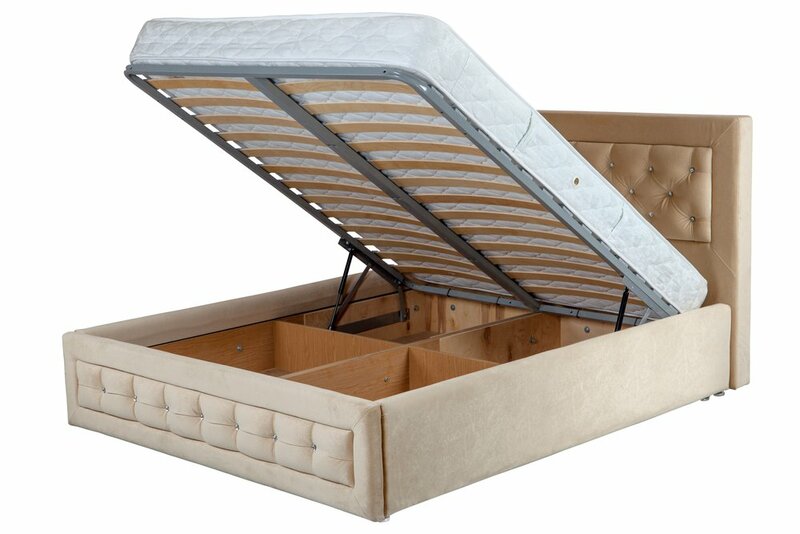 The first method is lifted from the end of the bed, and you get to use the entirety of the space under the bed frame. The second method opens from the side of the bed. This also gives you plenty of storage space under the bed frame, but the way the gas lift bed opens is crucial if you have a small bedroom. The main advantage of getting a bed that lifts up for storage is that you get extra space to store things like bedding, linen, clothes or even personal belongings. However, let’s examine the advantages in more detail so you can see the possibilities it opens up. Perfect for guest rooms - If you’ve designed a guest room because you have guests over on a regular basis, then it’s nice to give your guests fresh sheets and bedding everytime they visit. However, this can take storage space, but if you have a bed that can lift up for storage, you have a convenient place to put everything. Suitable for small homes - Small homes are cursed with less storage space–at least, if you don’t have a bed that lifts up for storage! More reliable than under-bed storage - Under-bed storage requires more clearance on either side of the bed which can be frustrating. For instance, you might need to move your bedside table just to access the drawers. With a lifting bed, you don’t get this issue. Hide your valuables - In the event, your kids ever rummage through your room or a thief breaks in, they probably won’t look under your mattress to find your valuables. Prevent clutter in your home - And of course, having extra storage space means you’re less likely to have a cluttered home that just looks unsightly!